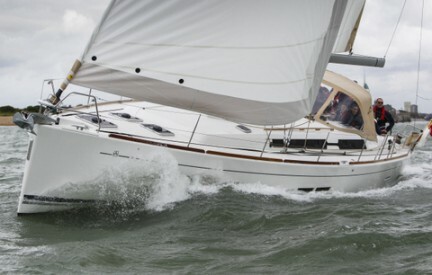 Katabatic is a Dufour 450, launched in April 2013. She sails beautifully and is easy to handle. Katabatic is 13.5m/45ft long and sleeps 10 (4 double cabins and a double berth in the saloon) and can accommodate 12 comfortably for day sailing. She comes well equipped with radar, AIS, chartplotter, autopilot and heating. Berthed at Haslar Marina which is located at the entrance to Portsmouth harbour you are just a few minutes away from the Solent. For any enquiries about chartering Katabatic or to check availability or just to discuss possibilities, please contact Anton.